Luton Town’s plans for a mixed use scheme at Newlands Park will not have a ‘significant adverse retail impact’ on Luton Town Centre if potential retailer restrictions are legally enforceable. There had been concerns from council consultants WYG in January of retailers relocating from Luton Town Centre to the site by Junction 10 after a suggested five year no poaching clause expired, plus issues whether the shopping centre would be affected by new stores heading to Newlands Park rather than the Mall. WYG felt this could potential risk could lead to a significant adverse impact on the town centre, advising the council if they were to approve the Hatters’ applications, a ‘retailer exclusion list’ ought to be included, plus Newlands should be anchored by a ‘high end’ department store and not a mass market retailer. 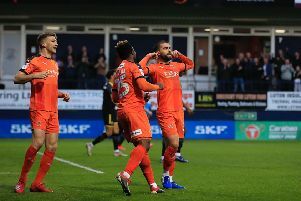 At that time, Hatters' property arm 2020 Developments had not agreed to such concessions, but have since changed their stance on the two matters, confirming they are willing to also extend the time on the non poaching clause from five to eight years. That has prompted WYG to update their advice, with director Tristan Hutton's letter to the council’s planning & economic growth department, saying: “We understand that the Council are currently seeking legal advice on whether the mechanisms are enforceable. Meanwhile, WYG have also declared that Newlands Park wouldn't have an impact on the town centres of St Albans and Harpenden after information provided by 2020’s commercial agent McMullen Wilson. Town, who have already had the green light on planning permission for a new 17,500 stadium at Power Court, will find out whether Newlands Park has also been successful at a development control meeting on Monday, March 11.